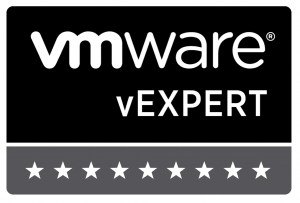 vCenter’s Number – Is It Up? ESXi first saw the light of day as version 3.5 in 2007 / 2008. Rumours were rife after ESXi 4.0 was released in 2009 that the clock was now ticking on ESX “Classic”. With the release of 4.1 in 2010 VMware finally confirmed the rumours and, from 5.0 onwards it’s been ESXi only. You know this already of course if you’ve been working with vSphere for any length of time. The reason that I’m bringing it up though is because I think it’s a clue as to what’s going to happen to vCenter in the future. The vCenter Server Appliance (vCSA) first appeared as a technology preview called “vCenter 2.5 on Linux”. It became vCSA as of vSphere 5. Subsequent releases (5.1 and 5.5) have seen many changes and it’s becoming more compelling with each version. Could it be only a matter of time before VMware announce that vCSA will be the only version of vCenter available? I believe it is VMware’s intention, yes. Consider VMware’s recently published convergence plan for vCD. It states that the functionality offered in vCD will gradually be separated and merged into either vSphere / vCenter or into vCAC. The timetable for this change isn’t clear yet but given that vCD is Linux based, it might be more logical (or simpler) to integrate some of its functions into vCSA rather than into vCenter for Windows. Look at many of VMware’s other products and a good number are linux appliance based. Of course there are exceptions, with perhaps some of the biggest currently being vCAC and Horizon View, but they’re both acquired products. Increasingly we’re also seeing a move away from a Windows vSphere Client to a Web Client. Some functionality in vCenter 5.5 is only accessible via the Web Client. Of course the Windows Client might be kept on as a means to administer the free version of ESXi – time will tell. None of these things are concrete proof of intent but they, and other things, make my spider senses tingle. It might not happen with vSphere.next as there could be some challenges to overcome still. There would have to be complete support and integration with VMware’s other products as one example. As another example, some customers might want vCSA to support MSSQL before they’d consider it ready for production. In short though, I think that vCenter’s days on Windows are numbered. What that number is though, I couldn’t say.